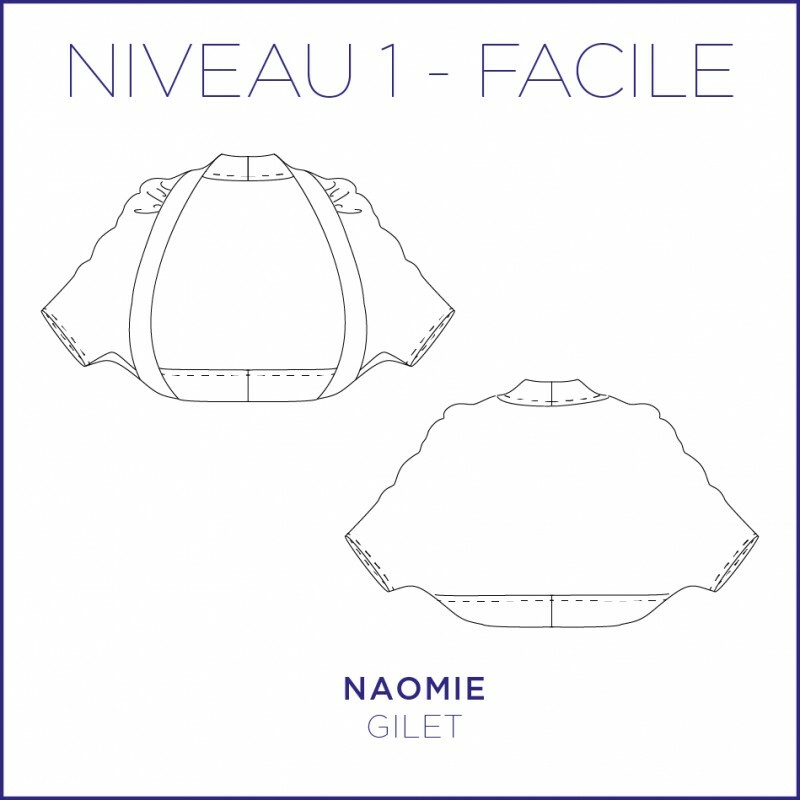 Naomie, it's a perfect short vest to wear on a little dress. Actual size pattern from 34 to 44 (US/UK : from 2/6 to 12/16), category "Beginner"
Vest easy to make and to wear. This vest is ideal to wear on a dress with thin straps or a top. Any kind of jersey may be suitable for this model. You can also use wool jersey, lace jersey or cotton fleece. pas encore testé - pourrait être très haute couture en soie sauvage et satin ? ou bohême en fin tricot.